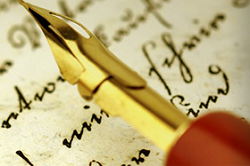 There are many ways to get involved with the 800th anniversary of Magna Carta. Events and projects funded by the Magna Carta 800th Anniversary Commemoration Committee are taking place across the United Kingdom and internationally. Our bespoke Schools section offers resources for teachers and students. We have compiled a list of tourism trails across the UK, and created a map of Magna Carta sites of interest. More information on each of our sections can be found below. Events are taking place across the country, and internationally, to commemorate the legacy of Magna Carta. To find out more about the activities of our Magna Carta 800th partners, check our Events tab, or click here. Our Events page features a listing of the must-see Magna Carta events taking place in 2015, and more information about organisations hosting other events can be found on the left tab. As part of our pledge to build a lasting Magna Carta legacy, the Magna Carta 800th Anniversary Commemoration Committee is helping to fund a wide range of projects using funding made available from the UK Government. Details of all of these projects are available, with project news updated frequently. Across 5 Rounds, more than 70 projects received funding from the Committee, aiming to increase the profile and understanding of Magna Carta in the United Kingdom and across the Commonwealth. 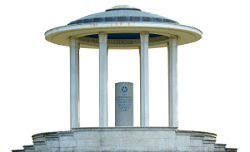 This section includes information about the Magna Carta Trust, the role of the Magna Carta 800th Anniversary Commemoration Committee, and reasons why we should all be commemorating 800 years of the development of human rights. 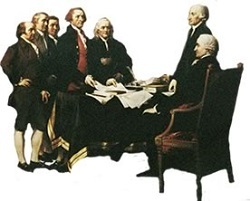 From the sealing of Magna Carta in 1215, to the signing of the Declaration of Independence in 1776, to the discussions and human rights issues facing us today in 2015, the questions raised by Magna Carta are more pertinent now than ever before. Our news and press section features a running feed of Magna Carta’s most recent appearances in the news today. Click the heading to be directed to an enormous archive of commentary and journalism discussing the role of Magna Carta in contemporary matters. What were the events which preceded Magna Carta? And what happened afterwards? Here we have a Magna Carta timeline which gives an overview of the medieval world and the troublesome reign of King John. Read our key battles of Magna Carta and the role Magna Carta Towns had to play in them, alongside a map of historical sites of interest. The 800th anniversary of the sealing of Magna Carta will provide an enormous opportunity for schools across the globe to engage matters of history, citizenship and democracy. We have published resources for students and teachers across the world, reading lists, lectures, speeches, and a list of books for younger audiences and academics. 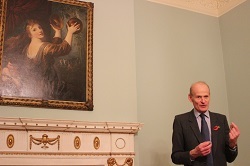 Professor Nigel Saul of Royal Holloway (pictured), has written biographies of the 25 Magna Carta Barons – and other biographies are available. Why not take a walk through history? 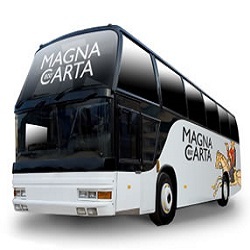 Our tourism platform, Magna Carta Trails has the latest news on events near you. We have compiled a list of events which take place on a single day, or trails that can take several days to complete.